Don't say it didn't tell you so, because I did. Japanese MMA has been the center of my predictions for 2011. About a month ago I joined the Illegal Elbow radio show in a discussion about Japanese MMA, among other prevalent issues. In that conversation, I predicted that Japanese MMA would finally collapse in 2011 -- not that it isn't obvious (and also predicted by its own executives). 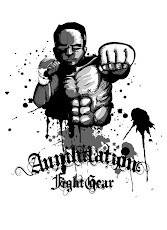 However, you might find my other theory even more interesting -- that Strikeforce will eventually use it's associations with FEG to give it more leverage in the international MMA market. After all, with FEG on the downslope and a forseeable end in its future, any intelligent organization would position itself close by to pick up the pieces after they've fallen. It's always been my belief that the battle for world mixed martial arts supremacy would be fought on Japanese soil. We've watched Japanese MMA degress since the Zuffa's acquisition of Pride Fighting Championships in 2007. Fast forward nearly four years later, and problem after problem has put the Japanese MMA scene in turmoil. While I believe that Strikeforce will use Japan's (FEG's) downfall to its advantage, I also realize that their Japanese agenda will not move forward without opposition. Just last week Strikeforce secured a pay-per-view deal with Japanese television company SkyPerfecTV to broadcast its "Fedor vs Silva" card on February 12th. Zuffa was quick on the draw, garnering its own Japanese t.v. deal with Japanese media outlets NTT Plala and TV Bank. The deal will expand the UFC's presence in Japan. The deal is an obvious countermove to Strikeforce's recent agreement with SkyperfecTV. As stated above, I do believe that when FEG's last threads finally give out, Strikeforce will use it's relationship with the Japanese fight promotion to give it an international boost. The puzzle isn't hard to piece together when you consider that Scott Coker used to work for K-1 and Strikeforce has a partnership with Dream. There are some other variables to consider. For one, Strikeforce simply does not have the wallet power to save FEG or purchase it outright. Also, the one thing you can count on when it comes to Japanese fighters is loyalty. Not long after Zuffa purchased Pride from Dream Stage Entertainment, FEG and Dream Stage partnered using fighters from Pride and the former K-1 MMA promotion "Hero's" to create the now struggling-to-survive promotion Dream. Dream offered a new outlet for Japanese MMA loyalists like Shinya Aoki, Kazuo Misaki, Tatsuya Kawajiri, and Hayato Sakurai. When Dream finally (officially) does bottom out, we can expect a number of loyalists to either remain in Japan or opt for the organization which they are most familiar. Here, Strikeforce has the upper hand due to its business relationship with FEG. Imagine a new Strikeforce, complete with the likes of Shinya Aoki, Tatsuya Kawajiri, Hiroyuki Takaya, and Hayato Sakurai. Will it happen? Probably, but not without countering by the UFC. It will be a cat and mouse game. Still, it's a question we'll watch the answer to unfold over the course of 2011. 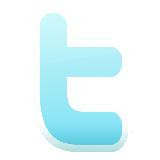 So, grab a cold one, sit back, and stay tuned! UPDATE: Bloody Elbow shares similar thoughts. 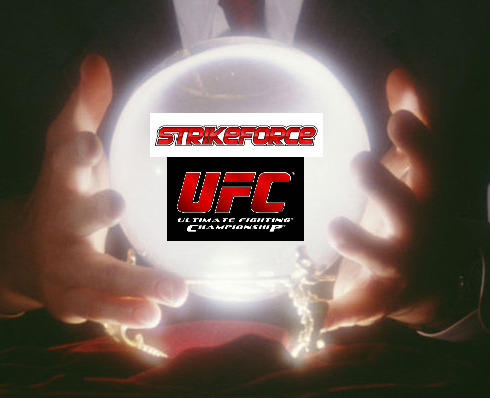 "With Strikeforce possibly entering the market in Japan with much more marketable fighters who are known to the population of Japanese fans, the UFC may actually be the underdog in this scenario in the context of actual interest. In the contest of survivability however, the UFC still stands taller. Can they survive Japan? Time will tell, but it solely depends on their gameplan."